Reminder!! Spring Plant Sale is Saturday, 4/30, 9am-Noon. At the warehouse, 3435 Stanford Dr NE. Come check out the baby goats, buy some plants, and I will be hosting a free gardening class at 10am. Come with questions. This is probably the best event we do all year. Come join us and feel free to bring folks with you. Welcome May, and as we are calling it around here, Members’ May. Why are we calling it that? Funny you should ask. We are dedicating the month of May to our members because we would not be here without you. We started with a beat up old Ford truck and a handful of seeds and now farm 40 acres and employ 30 people. Our harvests have gone from dozens to over a thousand. And we have been able to do all of that without any real marketing. Our marketing has been from the beginning, and continues today, to be from you sharing your food and experiences with friends and family. Some call it “Grassroots,” some call it “Gorilla Marketing,” but I just call it awesome. This farm is here because our community wants it here. That is a pretty good feeling. So to say thank you, we are going to be doubling our Friend Referral Credit to $20 for the month of May and invite you to invite your amigos on board. Next, I have to tell you about a great phone call that I had this week. 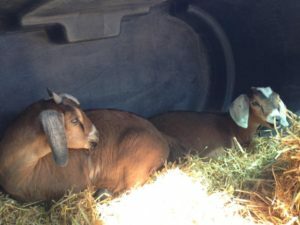 I have heard and read about this amazing family farm in the San Diego area, Stehly Farms. So being as I love talking with farmers, I cold-called them to see what the heck they are up to and what’s ripe on the trees. Noel, one of the brothers who runs the farm told me that they had just taken some avocados off the trees that morning. Next thing you know, we were talking about the popularity of juice bars and the avocados had jumped on a truck headed to NM. So we will have some super fresh avocados in the boxes for you this week. I asked him about his blood oranges and said that we have some vampires in our CSA who would love to get their paws on some blood oranges. He told me if the coastal nights stay cool enough, then he would harvest some for us next week. If the nights are too warm, then the sugars will make them mold too quickly and they won’t work for us. So keep your fingers crossed that the coastal nights next Tuesday stay cool and we will get some blood oranges! This new partnership highlighted a couple of things for me. First is that there are some really cool family farms doing tasty work all over the west coast. And they need support just like any grower. I feel and sense that the local food movement likes to beat up on California’s agricultural producers at times. But then at the same time people eat and need their avocados and citrus. California is so fortunate to have the climate that it does. We are so fortunate to live 800 miles from a state that can produce such a wide diversity of crops. New Mexico and the entire high desert just cannot compete with this diversity. 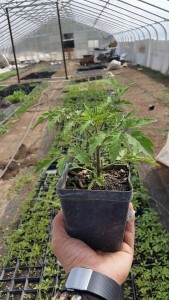 So instead of beating up on growers because of their location, I think we should find these family farmers who are growing items that we will never be able to grow and support them. I think this adds a level of “food security” to our offering. As I mentioned earlier this year when the price of fresh food was going through the roof—our strength is in our partnerships. The more we support these growers, the better it is for us when times get tough in the food world. They keep costs down in a volatile food market. Shoot, it is better for us even when times are great and we have freshly harvested avocados and blood oranges to enjoy. And I have to tell you that there is no other grocery store or CSA in the state of New Mexico who cultivates these types of relationships with regional growers. They are buying from warehouses, we bring it to you from the farm. This is something unique and something that I don’t want our members to lose sight of. 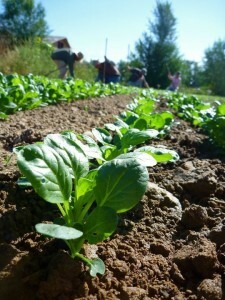 Our goal is to to bring you closer to your food and closer to the dirt (soil please!). And every year we have been able to do a better job of that than the prior year. Our partnerships are pretty awesome and only getting better with every new season. First up this week, I want to introduce you to the “Sale Barn.” I know you might be asking yourself if I have fallen off the tractor 1 too many times, but there is a point to this I promise. We have been bringing you so many new items and there are times when these new items don’t get onto the radars of our members. I get it. People are creatures of habit. Change is not something that most of us gravitate to easily. So scouring the web site to see all the new flavors and smells does not come naturally. So that is why I am going to incentivize you financially. So our “Sale Barn” has been added to the web site for you to peruse. No we will not have animals or tractors for sale in our barn. But you will see some hot items for the week that we will change weekly. For this week, we have added fresh eggs because chickens start to lay eggs like crazy as the weather gets better. Some delicious Breakfast Sausage, because what goes better with eggs than pork. We have added some very yummy new sirloin steaks to the line up. And finally Mahi Mahi. I seared the filets for 4 minutes per side this week and I swear that the fish was as good (actually better) than any fish I have had in a restaurant. Try some fish tacos next week. We have pineapple and mango to make it a hit. A reminder about the Annual Plant Sale, April 30th, 9-Noon at our Warehouse 3435 Stanford Dr NE. It is going to be a happening place. Fresh plants, hip people, and lots of educational things being thrown around for you to chew on or spit out. We have condensed the time frame and increased the fun factor. There will be stuff to keep the kiddos smiling too while you focus on your garden plans. 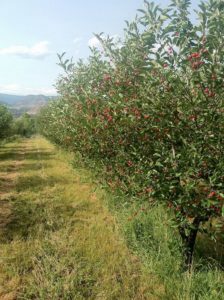 Lastly for this week, I would like to share a text that I got from Paul at Excelsior Orchards in Paonia, CO. “Fruit crop looking good so far. This includes sweet cherries and apricots.” Reading that almost brought tears to my eyes like I was watching The Notebook for the first time. You see we have a special arrangement with Paul that we do not have with anyone else. 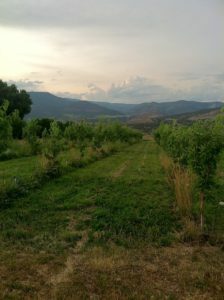 3 years ago we asked Paul to have his entire harvest from his 85 acre orchard. He grows it, we will find a happy home for it. The contract was sealed by a handshake leaning against the hood of a pick-up. The way most farm deals are signed. Since then we (you) have been the fortunate recipients of his apples, pears, cherries, nectarines, peaches, apricots, and plums. But this fruit is special. Why you may ask? There are certain areas of the country where fruit trees just belong. The soil with the water, with the cold winter nights, with the long summer days, with the minerals of the mountain slopes all just come together perfectly. This happens in areas of California’s wine country and you end up with a special bottle of juice. 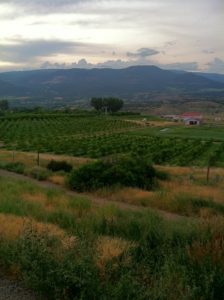 This is how I feel about the western slopes of Colorado’s fruit. Something magical happens in this mountainous region of Colorado that you just don’t see anywhere else. You know me, I defend New Mexico to the end. But, the fruit that we will be bringing down from Excelsior is better than any piece of fruit that has ever been grown in NM. It is not our growers fault, we just do not have the geography. 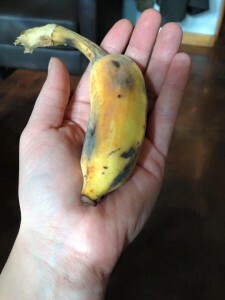 The good news for you, is that you will not have to drive 6 hours to some small roadside stand along a deserted road to find this fruit, you’ll just have to put boxers on and open the front door. Paul calls me every week to let me know what he is bring down for you that weekend. We plug those items into the Harvest Boxes and then how you eat his fruit is up to you. Pies, tarts, or right from your hand. So it was with much happiness to read that the winter has treated Paul and Excelsior well. We usually start to see the fruits of his labor in early June and if everything goes well, we have at least one item from Excelsior in every box until Thanksgiving. Fingers crossed for an abundant year! We have some really nice baby Bok Choi coming in from the farm next week. See the action photo to the right. Lots of fresh juices, insanely juicy citrus, and fresh berries. All in all a great week to be alive and eating fresh foods. Lots of things to touch on this week, so let’s get right to it. Annual Plant Sale. Saturday, April 30, 9-Noon. Hands down our best event of the year. In the past we have had music and other fun stuff. But we realized that people don’t even need that, they are just excited about the plants. And that makes an old farmer like me blush with happiness. You may not know this, but I found my way to the farm through the aisles of a nursery. During college, I worked at the local nursery and got to see firsthand both sides of the nursery business from the consumer side and from the business side. And I have to be honest with you, that neither side gave me the warm fuzzies. Consumers were never interested in solutions to their gardening issues, they just wanted to know what to “spray.” That of course usually meant a chemical. And plant reps were always trying to sell larger plants because they had bigger mark-ups on the plants. The larger plants, however, are more stressed out than a cute little 4” pot. So being the rebellious college kid, I would say to myself and probably to any other person within earshot, “When I get older, I am going to sell plants, but do it right.” Fortunately for me, that little dream of selling plants the right way has come true. But what the heck does it mean to sell plants the right way? Let me explain. First, we want you to succeed. That means planting the right plants at the right times. The right plant is a plant that grows well in your/our micro-climate. 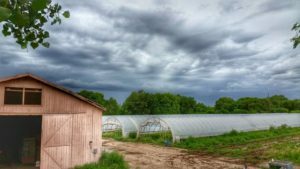 Big box nurseries really don’t give a manure about your climate. They sell you a plant that was not started in your climate and not bred for your climate. It is a cookie-cutter plant that everyone else from Toledo to Tucson gets. One size fits all. But plants don’t grow in a one size manner. Altitude, day length, light intensity, humidity all play a role in whether a plant does well or not. So having the right plant is huge. Because of that, we trial plants in our fields and then sell those plants to you. If they do not do well for us, I doubt they will do well for you. So we will not sell you a Black Prince if they don’t do well here. Rest assured we have made plenty of mistakes in our fields so you won’t have to. Secondly, timing is huge. We have our plant sale at the beginning of May because that is the “Go Time” in a garden. 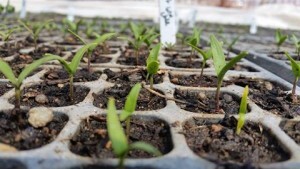 You can plant them earlier, but nothing will start to take off until the weather warms up in May. This is a very important piece of the gardening puzzle. Getting plants in the soil before their optimal time really runs the risk of them getting stressed out due to weather or wind or etc. And a stressed out baby plant will never grow up to be a well-adjusted adult. Maybe humans are the same. We have to pamper small plants to give them the best opportunity to be a productive adult. So don’t plant early. Lastly, size matters. 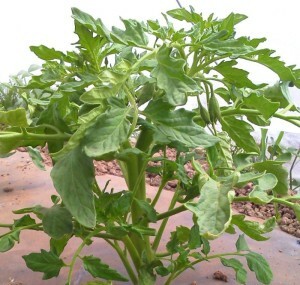 You do NOT want to plant a big gallon tomato plant. It has been living in a pot for probably 3 months by that point. Way too long for a fish to be out of the water, or soil. Our plants are 5 to 6 weeks old. They will have solid roots and sufficient greens. Most importantly, they are ready to explode and grow. When they hit that phase and they are still in a pot, they will stunt. 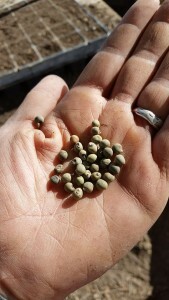 When they start to grow, they have to be in the soil and ready for the roots to grow up to 6 ft deep. Please remember that a smaller plant will always grow better and faster than a stunted root-bound bigger/older plant. Good news from our CSA Manager, Emma: Due to all of the supportive emails asking for us to bring Home Delivery to their neighborhoods, we are happy to announce that Belen, Los Lunas, and Bosque Farms can begin opening their doors instead of going to the stores. Please let any friends or family you know in those communities that they can jump on the home delivery train. Now, I am not sure if you are a food nerd like I am, but it is a really interesting time to be a foodie. With that said I don’t think that it is all that optimistic of a time either. Give me a few moments here and let me lay this out for you. Selling food in this country is about one thing, volume. If you are making pennies on a product, then you have to sell tens of millions of those products to be in a good place. Grocery stores are some of the most cut-throat places you can find. Don’t let the soft exterior trick you. Most recently I have noticed a migration of stores away from the Organic labels. Before the recession, touting shelves full of Organic products was becoming more and more common place. Now, it’s not as rare as a white buffalo sighting, but it is close. Stores are easing off the push on Organics to try and remain relevant in this overall price battle. Take a look for yourself if you ever get lost and wind up in a grocery store. OK, so how do we play in this grocery game when our food is about so much more than just “volume”? How can we keep competitive? I feel like it is a good time to reaffirm our mission to you. This farm broke ground with really one goal in mind, give our communities healthy/fresh food options. And I really want to stress the word options. I do not believe that the whole world has to be Organic. That would not be realistic. But I also don’t want to live in a world/town where Conventional food is the only choice we have. I am a firm believer that we need to have a diverse marketplace, and then people can decide what food is best for them. Just as they do with religion and politics. The farm was/is rooted in this idea of bringing healthy choices to our members. Eat a chimicanga from 7-Eleven if you want, but we will also make sure that fresh salads and fruit are available to you as well. The choice is up to you. I highlight these options and choices because I do not want to see these disappear. I do not want to roll back the calendars and be back in time where Organic foods are hard to find. Over the last 15 years, I have seen prices on Organic foods drop while the quality has gotten so much better. This is a time when Organic producers need our support and to not be diluting our grocery store shelves down with more and more conventional produce. So here is my promise and vow to you. 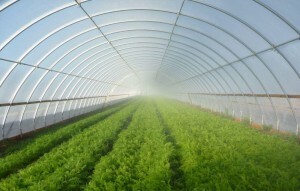 Skarsgard Farms will not be jumping down the rabbit hole of cutting costs by bringing you conventional produce. I feel like that becomes a race to the bottom and a race that no one wins. So I want to stay out of that race. We started the CSA with 17 people in 2003. And I know we have grown over the years because of our beliefs about food not because our prices on food. When you eat our food I want you to enjoy the flavors and know that you do not have to read labels. As the ole bumper sticker says, “Don’t Panic, It’s Organic.” That is what I want for you, just love your food and leave all the label reading and sourcing to us. We’ve got you covered. Hot tip of the week…Steam your broccoli until it is cooked but still crisp. I think the French call it “to the tooth” or something like that. Anyway, squeeze fresh lemon juice on top of the florets. The citrus brings a fresh zing to the greens and I also think it brings out subtle nutty flavors. Lastly, lots of delicious Thai Bananas available this next week.